Children’s birthdays are joyous celebrations. For the birthday child, birthday parties often feel like pure magic. However, for parents who plan the parties, it is not unusual for a birthday party with young children to feel like an impossible and stressful task. 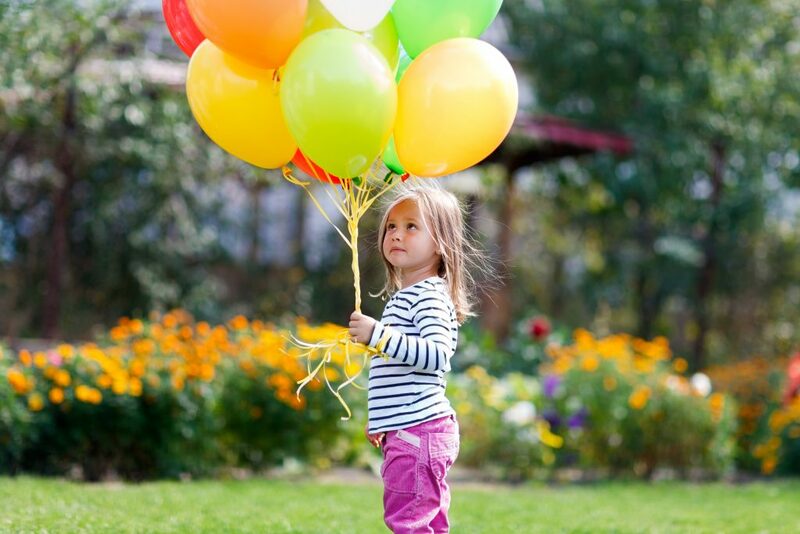 Here are some tips to take your child’s party from stress to success. The possible locations for a birthday party with young children are almost endless. If you have space at your home, hosting the party in your own space might be relaxing and fun for your whole family. If having many guests in your home is overwhelming, there are plenty of other options. Outdoor parties are a popular choice, since children can run and be loud without disturbing others. For this option, consider hosting at one of Chapel Hill’s many beautiful playgrounds or parks. If the weather won’t allow for an outdoor party, our area offers many indoor venues as well. The Morehead Planetarium, the Museum of Life and Science, local martial arts schools, and Snapology robotics labs all offer birthday packages, just to name a few. When it comes to timing a birthday party with small children, it is important to keep mealtimes and bedtimes in mind. Children will do best and have the most fun when they are well-rested and not hungry. With this in mind, if you do not plan to serve a meal, it is best to plan parties for in between mealtimes. Beyond these basic parameters, try to plan the party for a time that is best for your birthday girl or boy. You won’t be able to accommodate every friend and family member, so it is best to celebrate when your child will enjoy it most. One of the best ways to ensure a successful birthday party with young children is to communicate the details and expectations clearly with your guests. Will you be serving food? Do you expect parents to drop off their children or stay? When does the party end? Including these details, as well as the address of the venue and a way to contact you, will help the parents of your child’s guests. Additionally, if you want your guests to RSVP, be sure to make that clear. Don’t be afraid to follow up with non-responding guests. Young children don’t have particularly long attention spans, especially when they are excited about a birthday. For this reason, it is wise to plan activities for every 20 minutes or so throughout the party. This does not mean that you need to become a cruise director, endlessly entertaining your guests. Simple activities like eating snacks, opening gifts, and having cake and ice cream count as activities. For additional activities, you can be as complex or simple as you would like. Children will be happy to play with simple toys or sidewalk chalk. Alternatively, you can plan games like pin the tail on the donkey, bean bag toss, or other classic party games. Also, many party venues include activities for party-goers, making their party packages a good choice for parents who want to do minimal planning. One of the most important things you can do to ensure a successful birthday party with young children is to prepare your child. Talk them through the day, including what to expect and the order of events. Answer any questions they may have and follow up later to explore their own thoughts about the party. By staying in touch with your child, you help them enter the party feeling prepared and excited rather than overwhelmed and nervous. No one knows your child the way you do. This makes you the perfect person to throw a celebration for their birthday. By following these tips, you can plan a party that will feel magical and special while also preserving your own sanity. As you celebrate your little one, are you also looking for childcare where your child will be loved and appreciated for who they are? If so, consider Legacy Academy Chapel Hill. Our staff prides themselves on helping every child become the best version of themselves.